10 Tips for Visiting Carowinds! Carowinds is an amusement park located in the Carolina’s. It is owned by Cedar Fair Entertainment Company. The park is a great place to visit during the time when it is open which is a wide span of the year. 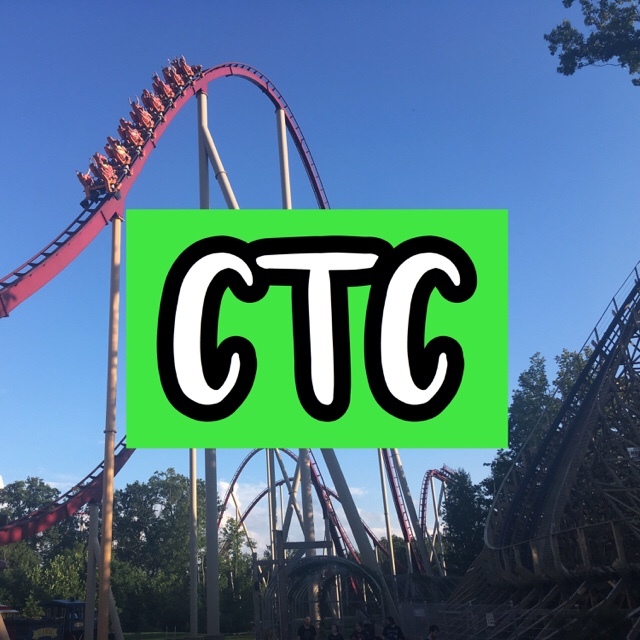 In this post I will be sharing 10 Tips for Visiting Carowinds! These tips will help people to have a great visit at the park and make the most of their visit. Plan on eating outside of the park if you want more than hot dogs and burgers. If you want more than hot dogs and burgers that aren’t the best quality than plan on eating outside of the park. Many Cedar Fair parks have food stands like this but they also have a few sit-down restaurants. Carowinds lacks in this area and does not have a sit-down restaurant. Cracker Barrel is one restaurant that has quality food close to the park. There are many others too. Don’t plan on arriving to the park an hour before it opens. Carowinds does a very poor job with getting things together before the park opens. The parking tolls normally are only opened 20 minutes before the park does. In addition, the security checkpoint before you enter the front gate is also normally unprepared. Do not arrive to the park very early or plan to sit in the same spot for up to an hour. Please do not rely on the wait times app. Many people get the memo that just because Cedar Point and Kings Island (a few others included too) are decently better than before at updating their wait times that Carowinds will be. Those parks are implementing new systems to update wait times. Make sure you actually go to the ride entrance to see the wait time because there is a 90% chance it is not what the app says. Don’t expect amazing operations or for all of the major rides to be open. Operations at Carowinds have not been very good especially near the time this article was published. Do not expect the rides to all be open. Many rides at the park will be closed and the rides that are open will not have good uptime. Just be prepared before coming to the park so you are not surprised or disappointed. Remember what additional options are available for those who would benefit from them during a visit to the park. There are many “extra” things that are avaliable for people who would like to skip the waits on rides, have a set dining or drink plan, or photo memories from your visit. All of these things can be purchased. Fast Lane can be purchased for those who want to skip the waits on rides. There is a separate line at Carowinds that lets guests skip part of the line. Waits are significantly shorter. The Carowinds Dining or Drink Plan can be purchased for those who want their food taken care of. With the Dining Plan, guests have increments of time in which meals are separated. With the Drink Plan, there are free refills on drinks every 15 minutes. FunPix can be purchased for those who want photo memories from rides and different locations in the park. On select rides, there are photos taken of everyone from their ride and those can be added to a FunPix account. Other locations in the park also have photo opportunities by a professional photographer. The park has excellent shading. Take advantage of it. Carowinds sets itself apart with the shading that the park has. There are many different places in the park that are well shaded and will provide comfort to many guests. Many benches and shaded areas fill the park. Carolina Harbor – Carowinds’ Waterpark is a great way to cool off! Carolina Harbor is Carowinds’ Waterpark which is included with all daily admission tickets. It is also included with all season passes to the park. It was just renovated in 2016 and has great attractions. On a hot summer day consider visiting the waterpark for a few hours. Don’t buy your tickets online or at a drug store. Especially people who are last-minute people, they like to buy their tickets at the park. Or a drug store. This is a a bad idea. Tickets purchased at the park are way more expensive than tickets purchased by other means. That right there is not beneficial. In addition, there are less options to bundle things to save at the park. Buy your tickets ONLINE. It will allow you to get the best deal on your tickets and have variety. Only buy your tickets on the official Carowinds website here. Also do not buy your tickets at a drug store because issues have arisen with Cedar Fair parks not honoring those tickets. Ride the rides you absolutely want to as soon as you arrive to the park. No matter when you arrive in the park, ensure that you always ride the most important rides first. In other words, the soonest chance you have. It is not a good idea to wait until the end of the day to ride Fury 325 because it possibly could break down (the park does not have the best operations – another reason to avoid waiting). By riding the rides that you want to ride the most first, you are eliminating many possible things that can happen. Regular setbacks include inclement weather, mechanical issues, time issues, and many other factors. Save yourself problems and ride the rides you want to ride the most first. Do not plan every second of your visit. A common thing that people will do is to plan out what they do every single hour of their visit. Avoid doing this because many things change what you will do at the park (some are out of your control). Planning your entire visit will seem good but the person who does this always feels like it was a waste of time and gives up on it the second something changes the plan. Save yourself the time and do not plan your visit very intensely. A better way to plan is to list what rides you want to ride.